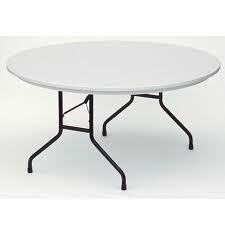 The Stillwater Public Library owns 40 round banquet tables. The Library Foundation charges $9.00 per table. This includes the cost of setting up the tables and taking them down. Additional set-ups are $100.00 each. Our tables measure 60 inches in diameter. Each table seats 8 guests. 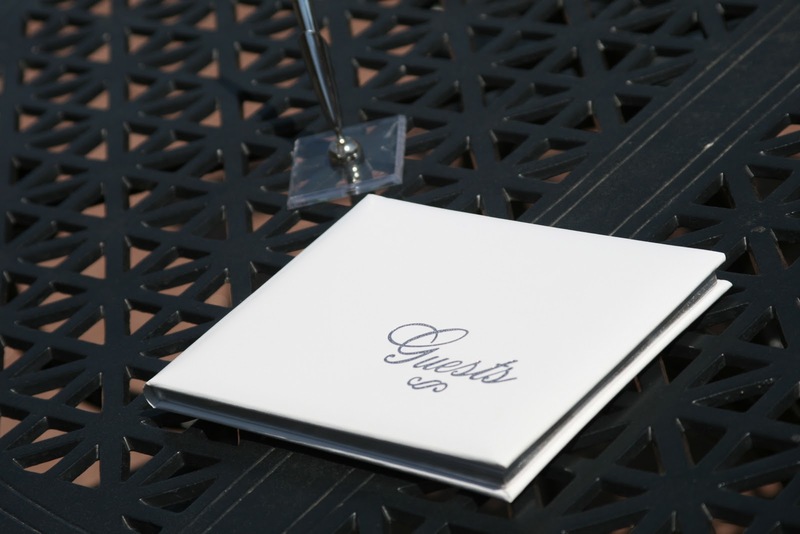 If you have assigned seating, a few tables of 9 or 10 guests will sometimes work. Please check with your caterer before doing this, as some place settings will not allow room for tables of more than 8. Many families would prefer to be a bit crowded, than broken up between two separate tables. The library owns 20 navy and 20 red, square, lap-length linens. They are $5.00 each to rent. 120" round linens are floor length, and 90" round linens are lap length. 90" square linens also work well for our tables. Ask your caterer to provide clamps for your table cloths to prevent them from blowing up in the wind and breaking glasses, or landing on top of candles. If your caterer cannot provide clamps, you can purchase them at a party supply store for about $2.00 per table. Table tops are 1" thick. The Library owns nine 6 foot banquet tables. ﻿The Library Foundation charges $9.00 per banquet table. 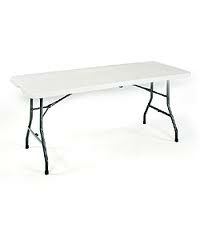 Our banquet tables measure 72 inches long x 36 inches wide. If you are using the banquet tables for your head table, please make sure to seat only 3 people per table. Our table tops are 2 inches thick. Many standard banquet clamps for skirting DO NOT FIT OUR TABLES. Please make sure that your caterer or decorator is aware of this, as pinning skirting takes a long time. Please make sure to ask your vendors how many tables they will need. Banquet tables are often requested for DJ's, bars, busing tables, buffet, head tables and cake tables. Please make sure that you rent any additional banquet tables, or ask that your vendors bring their own. white resin event chairs with a padded seat. Outdoor chairs rent for $3.00 per chair. Chair seats measure 15.5 inches deep x 15.5 inches wide. Chairs are 17.25 inches wide at their widest point. If you plan to hang a decoration from our chairs (see picture below), it is 29 inches from the back rest (where the blue ribbon is resting) to the ground. The measurement from back rest to seat is 14 inches. Events held at the Library are required to use library chairs. 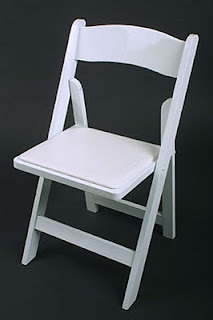 There is a fee for wear and tear if you wish to bring different chairs in from a rental company. The Library owns ten 32" high top cocktail tables. 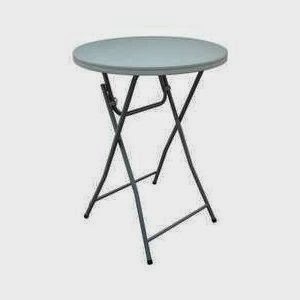 Cocktail tables rent for $7.00 each. The tops are 32" in diameter, and 43" tall. The tables look best with a 120" round linen to cover the legs. The library does not have linens to cover our our tables. 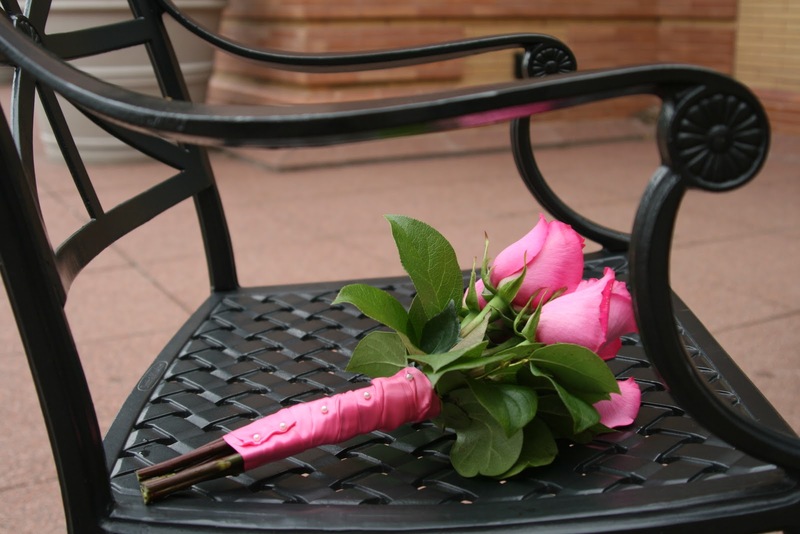 Plan to have a table cloth clamp, or ribbon to keep linens from blowing off the table. The Library has patio furniture that is always on the terrace. 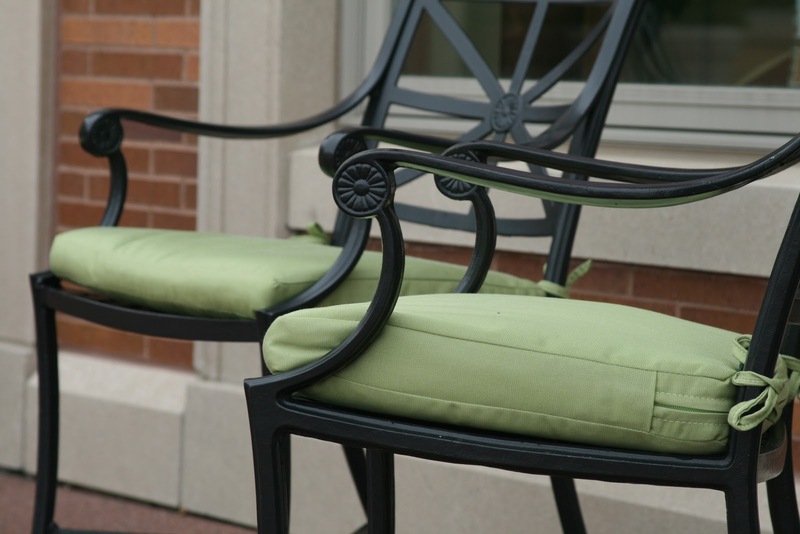 Patio furniture cannot be removed from the terrace, or brought inside the Library. The Library has five black round patio tables, measuring 48 inches in diameter. The Library has 20 black patio chairs (4 per table). The Library has 5 black 60" benches (2-3 people per bench). All chairs and benches have green cushions. Renting cushions for all of the patio furniture is $20.00, or you can rent cushions for select pieces at $1.00/cushion. Two of the five patio tables have green umbrellas. The umbrella tables must be used against the building to keep the wind from blowing them over. Keep your tablecloth on the table!